Celeb Gossip News – “The Song Is Mine”: Did Brandy Shade Monica By Remixing “The Boy Is Mine” Lyrics? Brandy is singlehandedly keeping the beef between her and Monica alive. 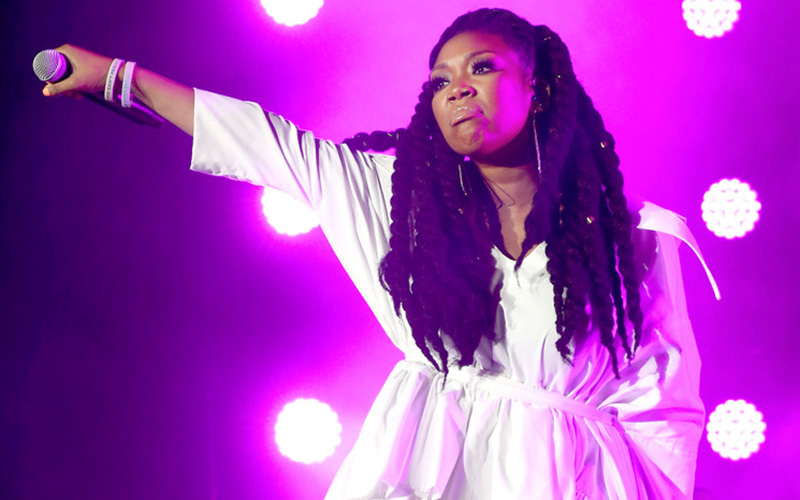 While performing at the 2018 Essence Music Festival in New Orleans, Brandy took the audience on a trip down memory lane by singing her 20-year-old hit single “The Boy Is Mine,” which also features Monica. During the song, Brandy switched the lyrics from “the boy is mine” to “the song is mine,” which was clearly meant to be shade towards Monica. “The Boy Is Mine” was released as a joint single in May 1998 and was featured on Brandy’s second studio album Never Say Never. A month later, Monica also released the track as the lead single from her sophomore album titled The Boy Is Mine. The song marked the first #1 Hot 100 hit for both artists and spent 13 weeks at the top of the chart. Both singers also won a Grammy Award for Best R&B Performance by a Duo or Group at the 1999 Grammy Awards. It is believed that part of the song’s success came from ongoing rumors that Brandy and Monica had an unspoken rivalry. Monica also reportedly had an issue with Brandy performing the song on The Tonight Show with Jay Leno without her, and Brandy was reportedly upset with Monica for using the song’s title for the name of her album. Although Brandy and Monica reunited 14 years later on “It All Belongs To Me” in 2012, it looks like Brandy still has some unfinished business to tend to and is taking the title of their 2012 collaboration literally. Every three or so months, Brandy goes after Monica. Nothing provokes it. She’s just timed that way, lol. I love both Brandy and Monica equally. Their voices are dope. Still confused about this beef tho. Monica has to be terrorizing Brandy behind the scenes or Brandy is just hella bitter from 20 years ago. The ONLY time Monica mentions Brandy’s name is when she’s asked about her or when she’s paying respects to her while performing The Boy Is Mine. Monica literally says often that Brandy is one of the best to ever do it. And Brandy pulls stunts like this! So disrespectful. There’s something, like, reassuring and orderly about Brandy still trying Monica after all these years. The sun rises, the wind blows, and Brandy shades Monica. Like clockwork. As you can see, it’s clearly time for Brandy to move on with her life and let that hurt go. Because this beef is CLEARLY one-sided. Instead of focusing on the “boy is mine” part of the song, she needs to focus on the “you need to give it up” part.